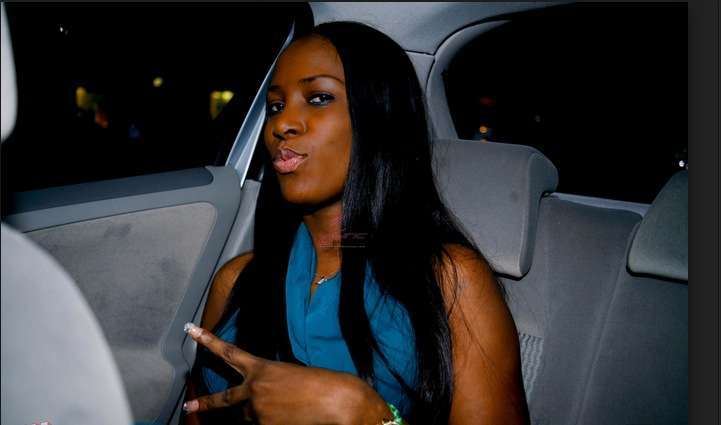 Linda Ikeji has finally opened up about her relationship with her baby daddy and how it crashed. 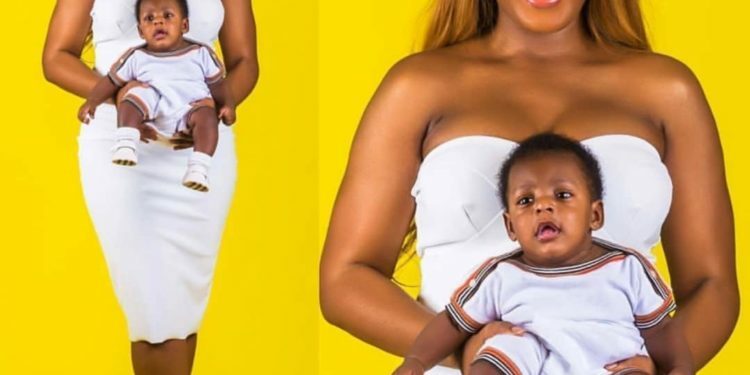 She took to her Instagram to share adorable photos of her son and also revealed how she met her baby daddy and how their relationship went sour. Now to the reason why you are reading this. I argued with myself for a long time whether to put this out or not…and finally decided it was a story I wanted to share. I’ve always been open about my life but I’m sharing details about my personal life mostly because of the girls who look up to me. The girls I have mentored, mentoring right now and plan to mentor in the future. I’m very particular about our young girls and I have personally tried over the years to be an example in some way; tried to teach these girls how to fight for their dreams, how to live right and do right and then I go and have a child out of wedlock and that must be a little confusing to some of them and especially with so many untruthful stuff out there about me. The most hilarious is that I had a child for a married man. Lol. Here’s my answer to that! The married man that I will sleep with has not yet been born. If he’s been born, he will die, be buried, rise and die again before he will lay with me. I don’t do married men. The father of my child is a single man and his name is Sholaye Jeremi. To be honest, at some point I thought he was my final bus stop but you know how life happens…lol. Unfortunately, he and I are a completely closed chapter. Sadly for our son Jayce, it’s the kind of chapter that can’t ever be opened again. By mid-2017, we were both still single and we started seeing each other again quietly. There were times it was very intense and we talked about a future together, and there were times that I couldn’t figure out what exactly I was doing with this guy. We were not suited for each other. Totally different lifestyles. And there was the problem of my fame. I walked away from this man a million times and he came after me a million and one times. No matter how much I pushed him away, he kept coming back and me, because I couldn’t find anyone else, I kept going back. Lol. So I was basically going back to my ex because I couldn’t find anyone else. sigh. To be honest, if anybody had told me when we met three years ago, considering how deeply we cared for each other that I would fall pregnant two years later and he would completely turn his back on me for the most part of my pregnancy, I never would have believed it but that’s what happened. I had to draw strength from myself, my family and close friends. Family and close friends told me I owed no one any explanation about the circumstances that led to the birth of my son, but I knew without writing this, I could never stand in front of the young girls who look up to me and talk to them again. I could never go to my secondary school tour and speak with these girls again about living right and doing right. I would always feel like I have no moral right to do so. I went to 15 secondary schools in 2017 and talking to those young impressionable girls has been one of the highlights of my life. I cancelled this year’s tour because I was pregnant and I haven’t made any preparations for next year’s tour because I wanted to set things right first. But you know, despite this crazy love experience, I still believe in love and I believe in happy endings and I can’t wait to one day, God willing, have my fairytale ending. The father of my child is the only man I’ve given a chance to in 6 years. Lol. I swear. I’m not really a relationship kind of girl. I’m more a career girl. I can go for years without a man. I’m one of those women who doesn’t need a man to validate their existence but biko, I’ve done the single life enough in the past…lol… going forward I’m looking forward to giving someone else a chance and try this love thing again. I was raised in a happy 2-parents’ home and that’s what I want for Jayce. So I hope I meet a great guy soon until then I’m enjoying motherhood. It rocks! Life has never been more beautiful! However, Controversial journalist, Kemi Olunloyo has earlier revealed that Sholaye Jeremi was the father of Linda Ikeji’s son and claimed that she got pregnant out of the wish of the man and he wants nothing to do with the baby.